Career services for Asian International Students in Japan; Issues, Effects, and Hope for the Future. Career supporting system focused on small medical care university K.H.S.U. Transition from Elite Sport: Can Career Advisors Help? Self-reflection or Self-examination at the Time of Life Transition and Crises: When We Encounter Difficulties, Should We Engage in Self-examination? Career development and counselling are crucial dimensions of lifelong learning, promoting both social and economic goals. Career development and counselling reduce drop-out, prevent skill mismatches and boost productivity. Evidence indicates that career development is most effective where it is lifelong and progressive and encourages the acquisition of career management skills. Such competences are required by citizens to manage the complex transitions that mark contemporary education, training and working pathways. The responsibility for career development is shared by different ministries and policies at national and regional levels. This presentation provides an overview of recent global policy initiatives and different models of representative structures which bring together all relevant partners in the field of education, training, employment, youth and social inclusion, including relevant ministries, agencies, experts and employers. Communication with national stakeholders have led to continuous processes of exchange of information on guidance-related initiatives and have resulted in developing measures which make co-operation between ministries more efficient, improve the consistency of service provision across sectors and strengthen the professionalism of services, tools and products. Dr. Raimo Vuorinen works as the Coordinator of the European Lifelong Guidance Policy Network, ELGPN, in the Finnish Institute for Educational Research at the University of Jyväskylä Finland. In his work he has been focusing on the strategic design, implementation and evaluation of cross-sectoral Lifelong Guidance policies and services. He is an Adjunct associate professor at the Faculty of Social and Human Sciences School of Social Sciences, Gimli University of Iceland, a Research Associate with Florida State University’s Techcenter and an International NICEC Fellow. He is also an Executive Board member and Vice-President of the IAEVG, and a Board member of the International Centre for Career Development and Public Policies, ICCDPP. Since the 2011 publication of a “Thoughts on Theories” Journal of Employment Counseling special issue, with contributions from 17 authors, various combinations of those authors/colleagues have collaborated on panel discussions at five conferences. Our overview of contemporary theories continues – join career development thought leaders Drs. Nancy Arthur, Mary McMahon, Jose Domene, and Roberta Neault as they share their “thoughts on theories,” recent research, innovative models, and practical approaches to working with diverse clients in increasingly complex global workplaces. Leave with new perspectives on cultural complexity and a culture-infused approach, systemic and contextual influences on career development, and career/employee engagement. Click here for the presentations by Dr. Neault and Dr. McMahon. Click here for the presentation by Dr. Domene. Dr. Roberta Neault is an award-winning career development specialist. Based in Canada and involved with career-related projects and training on six continents, Dr. Neault has traveled/worked in close to 70 countries/regions and has a strong interest in issues related to international/global careers, work-life sustainability, e-learning, psychometric assessment, and career development theories/models. Co-developer of the Career Engagement Model, Dr. Neault co-authored Career Flow: A Hope-Centered Approach to Career Development, and contributed the theories chapter to CERIC’s Career Development Practice in Canada. President of Life Strategies Ltd. and Associate Dean at Yorkville University, Roberta also currently serves as Treasurer of the APCDA. Dr. Nancy Arthur is a Professor and Associate Dean Research, Werklund School of Education, University of Calgary. Her teaching and research interests focus on preparing professionals for working in global contexts, for social justice, and international work andeducational transitions. 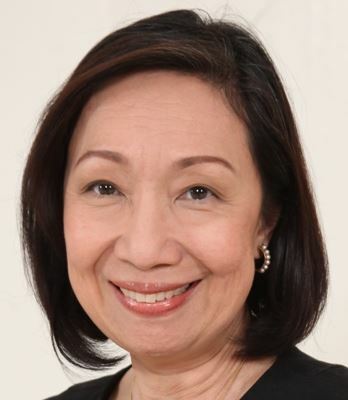 Nancy co-developed the model of Culture-Infused Career Counselling and she has published extensively and presented nationally and internationally on topics related to multicultural counselling and career development. Nancy is currently involved in a research project that is examining professional skills for graduates and recommendations for university programs in STEM education. Nancy currently serves on the Board of Governors for the Canadian Career Development Association and the International Association for Educational and Vocational Guidance. 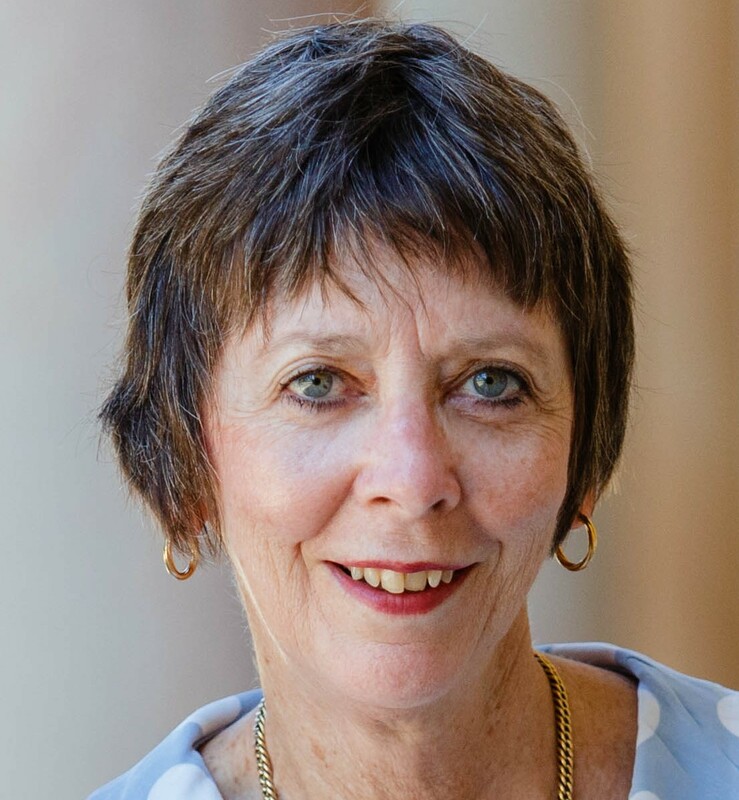 Dr. Mary McMahon teaches career development and narrative career counselling in the School of Education at The University of Queensland where she works as a Senior Lecturer. She is interested in the career development of children and adolescents and how young people may be supported by career counselling and career programs. Mary is the co-developer of the internationally known Systems Theory Framework of Career Development. Currently Mary is working on practical applications of her framework including her story-telling approach to career counselling and qualitative assessment instruments. 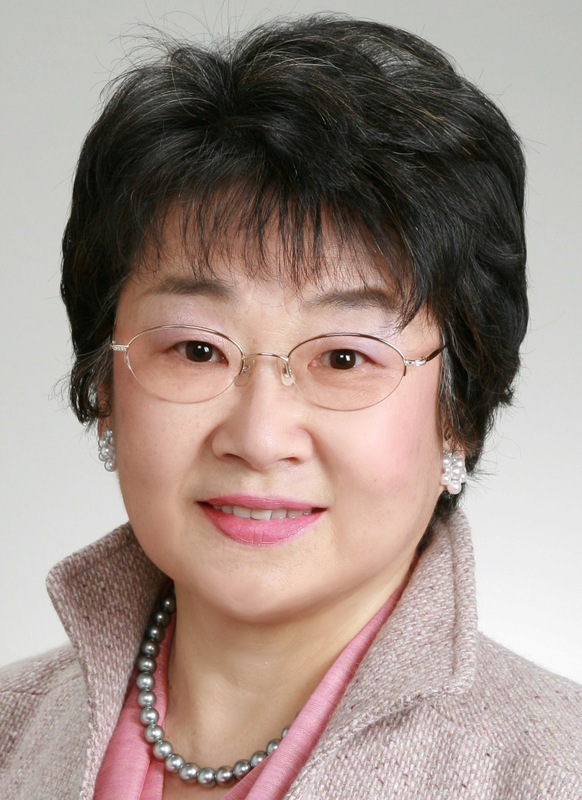 Dr. Agnes M. Watanabe-Muraoka, Professor Emeritus, University of Tsukuba, is a prolific researcher who has spoken at international conferences and published articles in international journals for over 30 years. She worked as a researcher for Japan Institute of Labor in Tokyo and as a college professor at Meijigakuin University, University of Tsukuba, and Rikky University. She developed the first career center at the University of Tsukuba. She worked for 20 years with the Japan Ministry of Education to infuse career education into the educational system where she clarified the concept and rationale for career education and initiated the development of the career education program. She also developed a systematic supervisor training program for GCDF in Japan and currently belongs to the Life Design International Research Team. She earned her doctorate at Pennsylvania State University working under Ed Herr. Do key stakeholders — students, their families, educators, and community partners — have systematic input into your career guidance program? Our presentation will showcase a best-practice model for school/community needs assessments to establish baseline and evaluation data for program implementation and improvement. We will share recent outcomes from Rwanda and Abu Dhabi. Presenters would like to share the story of how collaboration between two completely different units in RMIT University Vietnam, Student Recruitment and Career Centre, has led to win-win results for all stakeholders. It was happenstance in the beginning, when the two friends discussed the exchange of knowledge for staff’s professional development. Eventually their collaboration has turned into the two units’ strategy and has received approval and praise from upper management for their innovative way of providing culturally appropriate services that yield positive long-term results. Chau Nguyen has 15 years working experience in the education sector. For ten of these years she has worked as the Student Recruitment Manager at RMIT University Vietnam. The unit acts like the bridge between the university and 400 high schools across Vietnam. Her biggest achievement was her success in leading her team in building strong relationships with those schools’ leaders, teachers, and students. Chau’s passion includes recruiting through the practice of engaging with the schools and students via useful extra curriculum activities in career orientation. 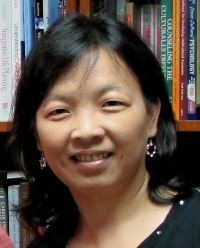 Le Luong has worked in the education sector since 2003 at RMIT University Vietnam. Her current role provides her opportunities in engaging with schools and government offices to provide support in education and teaching practice. Following the Student Recruitment Unit’s strategy, Le Luong has successfully developed and organized a series of Career Guidance Workshop for more than 800 school administrative leaders and head teachers in Vietnam. Phoenix Ho was raised by traditional Vietnamese parents and influenced by mentors who came from various backgrounds and countries/regions. Phoenix has trained herself to become Vietnamese and American bilingual and bi-culturally proficient. Her own career development journey took 12 years before she discovered her vocation. As a result, her passion is to enable youth to discover a career path that makes them happy. VECCI first commenced the Grey Matters project in 2005-2006 with Victorian Government funding assistance to respond to issues raised by the First Intergenerational report launched by the Federal Treasurer in 2002 which addressed ageing workforce issues. VECCI has been active over the decade in continuing employer and community awareness of ageing workforce issues. The Victorian Government funded VECCI in the 2010/2011 period through the Grey Matters program to engage more than 250 older workers and provide assistance to be placed in work with over 100 subsequently placed in new jobs. The 2013 research project determined the benefit of this program and also provided analysis of the benefits of interventions such as career development. Andrew Rimington has over 25 years’ experience working for both Commonwealth and State governments in senior management roles in the employment, education & training (EET) program delivery and policy areas. Management of a University Careers Advisory service, complements a consulting and private practice working primarily in career transition and rehabilitation. The current role brings a focus across EET policy nationally through Australian Chamber of Commerce & Industry Committees and Working Groups. Active participation in the Career Development Association of Australia since 1999 includes being a Board member of the National Committee since 2010 and being appointed National President in May 2013 for a 2 year period. This role led to appointment as Australian Director of Australian Pacific Career Development Association. This paper explores the challenges youth face in Pakistan and how career guidance can create a beam of hope by developing a contextual institutional model leading to employability. A pioneering institutionalized teacher training model of creating hope through career planning and career guidance has been strategically and culturally developed keeping in view the challenges of Pakistani youth and the Asian region. Through this model we are creating hope and developing career guidance counselors who will instill hope amongst the teachers and eventually youth communities. The model involves all keen stakeholders. Raza Abbas is the founder of professional career counseling and career guidance in Pakistan. He consistently presents at premier global career forums in Africa, Asia, Europe, Middle-East and North America. He has more than a decade of global and national experiences. He is a sought out keynote speaker and has transformed and inspired thousands of youth and employees across the globe. Career interest assessment plays an important role in assisting high school students’ decision making for further career choices. The research aims to propose a 3D structure of career interests for high school students in Taiwan and further to build an innovative career interest model. The data were collected from 13,864 Taiwanese junior high school students and 3,140 senior high school students, and then were analyzed through the multidimensional scaling (MDS), cluster analysis and SEM. The results revealed that the proposed structure constituted a three-dimensional bipolar structure (Conventional/ Innovative, Thing/People, Doing/Thinking), 9 main interest types and 36 sub-types, and was a new interest model appropriate for high school students in Taiwan. Meng-Ting Hsiao is a researcher at the Research Center for Psychological and Educational Testing, National Taiwan Normal University, Taipei, Taiwan. Her main research interests are in educational psychology and Career Path Tests. Jen Hua Hsueh is a doctoral student of Department of Educational Psychology and Counseling, National Taiwan Normal University, Taipei, Taiwan. His main research interests are in item response theory, latent class analysis, and career assessment. Dr. Yao-Ting Sung is a Professor in Department of Educational Psychology and Counseling, National Taiwan Normal University, Taipei, Taiwan. His main research interests are in Educational Psychology, Psychological and Educational Testing, Computer Assisted Learning, Computer Assisted Testing and Assessment Mixed Methodology, Career Information Analysis and Application. He directs several labs including readability of Cognitively Diagnostic Tests, e-learning, and Career Path Tests. 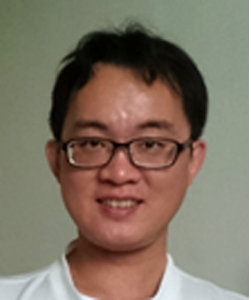 Hsin-Lun Liu is a programmer in the Research Center for Psychological and Educational Testing, National Taiwan Normal University, Taipei, Taiwan. He specializes in the development of World Wide Web applications and distributed network applications that are run over HTTP from a web server to a web browser. This study constructed a Situation-Based Career Interest Assessment (SCIA) that is suitable for applying to junior-high-school students. The assessment framework is based on Holland's theory of vocational interest. The SCIA has acceptable the validity and reliability. Multidimensional scaling analysis, internal correlation, and randomization test showed that the interest structure of adolescents and the relationship among interest types are only partially consistent with Holland's theory. Jeng Shin Wu is a researcher in Research Center for Psychological and Educational Testing, National Taiwan Normal University, Taipei, Taiwan. His main research interests are in item response theory, structural equation model and diagnostic model. Seeking a job as liberal arts students is tough. In this session, participants will be able to gain useful insights and learn effective interventions for individuals majored in liberal arts by reviewing key success factors identified by HR professionals. Within ten years or less, students will be employed in jobs not yet invented. It is predicted that there will be 60% brand new jobs but history proves that predicting what these jobs would be has been very difficult and is often incorrect. On the other hand, research indicates the soft skills needed by the workforce of the future. The presenters will cover breaking research on soft skills needed, share Internet resources, and compile suggestions into a ready-to-use handout for our clients and students. 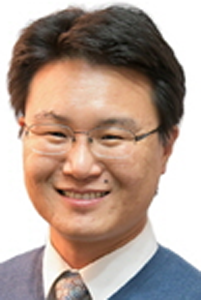 Sungsik Ahn is an Assistant Manager and Career Counselor at the Career Development Center of Korea University. He completed his master’s degree in Career Counseling and now is a Ph.D. student in the Counseling Program of Korea University. He is also a Global Career Development Facilitator (GCDF) and Career Development Facilitator Instructor (CDFI). For his excellence of services at the Center, he received the Minister’s Award. His professional interest includes developing university career centers and training career counselors and specialists. He has conducted some career research projects and several of the co-authored articles have been published in such journals as the Career Development Quarterly and the Journal of Employment Counseling. He is also South Korea Country Director of APCDA, and recently became a member of the Class of 2016 NCDA Leadership Academy. Danita Redd, has been an educator, writer, international volunteer, multi-cultural observer, and student for 30 years. She has worked in the United States, Peru, and Mexico and has delivered school supplies in Egypt. She teaches career development and specializes in the majors of Science, Mathematics, Health Sciences, and Engineering. She is published by the Journal of African Civilizations and has won an award in chemistry. For the last 22 years she has been on the faculty of Moorpark College in California. Dr. Lisa Raufman is a co-author of The Career Fitness Program, Exercising Your Options (Pearson Education Publishers), a popular career book used in community colleges and universities now in its 11th edition. Her college positions have included Faculty Development Coordinator and Dean of Counseling at El Camino College as well as an instructor and a coordinator of Career Centers at two different colleges. She writes a blog for www.CareerThoughtLeaders.com. Her professional organizations include: California Career Development Association (President-elect), National Career Development Association, and APCDA (PR director). She is also past President of Los Padres American Society for Training and Development and the California Community College Counselor’s Association. Social justice has been receiving increasing attention as a key value to guide career development practice. However, there are often many challenges faced by career development practitioners as they attempt to address social justice with their clients and on their behalf. In our presentation, we will provide examples from research conducted in Canada and Australia to illustrate how career practitioners connected social justice to their roles and how they addressed social and structural inequities that were impacting their clients. We will use these examples to facilitate discussion about practical ways to incorporate social justice into professional roles and practices. Dr. Nancy Arthur and Dr. Mary McMahon are described above. The aim of the study was to investigate and establish a Work Value Assembly (WVA) scale suitable for use with college students. The main purpose of the study was first to elucidate the content of work values in contemporary Taiwanese culture, and to establish a structural framework for the work values scale through qualitative research. The second propose was to develop a work values scale based on the work value framework. The scale was initially constructed using qualitative research methodology, classified the 231 sentences into seven dimensions and then 60 items of WVA were developed. Based on formal evaluation results, the WVA scale showed good reliability and validity in measuring the work values of college students. 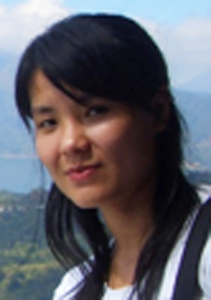 Tzu-Ying Cheng is a Research Assistant for Psychological and Educational Testing, National Taiwan Normal University, Taipei, Taiwan. 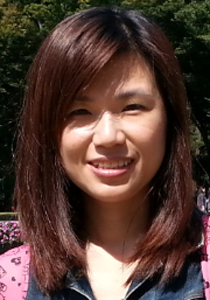 Her main research interests are in psychometrics, scale development and data analysis. Yung-Tim Chang is a Research Assistant for Psychological and Educational Testing, National Taiwan Normal University, Taipei, Taiwan. Her main research interests are in psychometrics and scale development. Dr. Yao-Ting Sung is described above. Ying- Fang Chen is a Maintenance Engineer for Psychological and Educational Testing, National Taiwan Normal University, Taipei, Taiwan. Her main research interests are in system development and computer programming. Since 2011, the Departments of Education and Training and the Women’s Union offices of Nghe An and Quang Nam province have strengthened parents, teachers and school leaders in guiding secondary students on study and career choices. Through student-centred and gender-sensitive career guidance, students are prepared for the world of work. Throughout the program lessons learned were collected on locally developed career guidance innovations, the role of provincial stakeholders in bridging the local and national level, and the national impact generated through involvement of the Ministry of Education and Training and the Women’s Union. Nguyen Thi Chau has been working in the development sector for the past 18 years including several international NGOs and projects on poverty reduction. In September 2011, she joined VVOB Vietnam as Career Guidance Coordinator. She finds her position with VVOB Vietnam both challenging and interesting, and is convinced that she can substantially contribute to the development of Career Guidance in Vietnam. She considers career guidance as a crucial topic for the sustainable development of her country. Since October 2008, Nguyen Thi Thuy has been in charge of Social Participation in VVOB Vietnam’s education programmes. With a background as foreign language teacher and many years of working for development organizations, she has been supporting the Vietnam Women’s Union for the last five years to strengthen and innovate parental support and guidance of secondary students within the Vietnamese family and community context. Filip Lenearts, holding a Master degree in Educational Sciences and a Bachelor degree in Social Work, joined the Vietnam-Belgium Education Project of BTC in 2006 to work on the promotion of active teaching and learning in primary and lower secondary education. In 2010, he joined UNESCO where he worked closely with the Ministry of Education and Training on teacher education and training, education for all and education sector coordination, including support to Vietnam's project proposal on the Vietnam New School Model to the Global Partnership on Education. Filip joined VVOB in 2013 as Programme Advisor to work on two areas that he is passionate about, Career Guidance and Early Childhood Development. In today’s world of work, it is not uncommon for people to change occupations and to re-engage in learning during their adult lives. This presentation reports on research that used the qualitative Integrative Structured Interview (ISI) Process and the quantitative Self-Directed Search instrument to understand the career transitions of university students who had worked for at least two years prior to returning to study in a different field. Case study examples will illustrate the rich stories told by the participants that provided a contextual and nuanced understanding of their transitions. Suggestions are offered for career counselors. Distinguished Professor Mark Watson lectures, writes and practices in the field of career psychology. Mark publishes nationally and internationally in journals and books, sits on the editorial board of several international journals, is co-author of a book on Career Psychology in the South African Context, and is co-editor of three new books on career development, counselling and assessment. He is a co-developer of the My System of Career Influences, a qualitative career assessment instrument. Professor Watson is a Research Fellow at The University of Warwick in England and an Honorary Professor at The University of Queensland. Minnesota Importance Questionnaire (MIQ) and Work Importance Profiler (WIP) are the best-known tools for identifying work values. These two scales used ranking and mathematical transformation to convert ranking data into interval data, which may result in several problems of reliability, validity and data transformation. This study developed a new scale, the Rating, Ranking, and Paired-Comparison Scale (the RRP scale), and demonstrated how the RRP scale can overcome those problems. This study collected empirical data and showed the RRP scale can actually improve the reliability and validity of the ranking-based WIP scale. 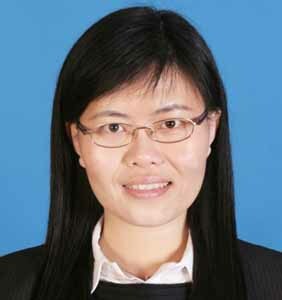 Jeng Shin Wu is a Researcher in the Research Center for Psychological and Educational Testing, National Taiwan Normal University, Taipei, Taiwan. His main research interests are in item response theory, structural equation model and diagnostic model. Tzu-Ying Cheng and Dr. Yao-Ting Sung are described above. The purpose of this study is to clarify the relation between “Ichi-nin-mae” and the Experiential Learning (EL) in youth. "Ichi-nin-mae" means characteristics of full-fledged workers in Japan. There has been a model that “Ichi-nin-mae” behavior and consciousness were formed by EL. However, the model has not represented characteristics in youth. By generational comparison, EL of young people was more relevant to “Ichi-nin-mae” consciousness than to “Ichi-nin-mae” behavior, and “Ichi-nin-mae” consciousness was relevant to “Ichi-nin-mae behavior”. The results suggest that it is more important for young people to make duties meaningful through various activities than to learn skills. Dr. Hiroshi Takahashi is the head of the Youth Career Research Institute and an advisor to the Japan Career Development Association. He worked for NEC Micro System Co., Ltd. as an engineer, a section chief of the corporate planning development and a career counselor. In his employee experience, he launched a study about a career development process of full-fledged workers and earned his doctorate in psychology at Rissho University. He has been focusing on the Experiential Learning and meaning of work and returning the result of his research to society as a counselor educator and a university lecturer. Nippon manpower will share the results and unique aspects of career services provided to 10,000 international students, who are mostly from Asian countries/regions. Funded by the government, career services and career counseling were provided to international college students from Asia, who are willing to seek their career in Japan. This session will help you find what the issues are and what could be done for future opportunities. Shujun Lu holds a Master's degree in Tourism from Rikkyo University and currently provides career services for international college students at Nippon Manpower including job fairs and one-on-one counseling. The service includes job fair (both on-campus and out of campus) and one-to-one career counseling. Shujun attended nearly all the job fair and events and did a survey of over 1,000 career counseling clients during two years. She was board and raised in Chengdu, China. As an international student who has experienced cultural difficulties searching for a job in Japan, her passion is in helping international students to find their best career in Japan. Michi Mizuno is the manager of Nippon Manpower and, together with Mr. Tatsuno and Dr. JoAnn Harris Bowlsbey, she launched a career counselor training course and certification system in Japan. She holds a Master's degree from Penn State in counseling and has worked as a liaison between the Japan Career Development Association and NCDA. Living in the US and Australia during her youth helped her form cross-cultural sensitivities. Michi’s profession is in career counseling, career development within organization, organization development, and diversity management. This paper considers the career anchors of Japanese women who are aged around forty, an age characterized by Jung (1931) as the "Noon of the life.” Schein (1975) asserts that a career anchor develops over a number of years through actual work experience, and an individual has one anchor and it remains stable. By looking into the women’s career histories, this study examines the formation of their anchors, the possibility of multiple career anchors within one individual, and the factors that decide the multiplicity of anchors, shedding light on the psychology of these Japanese women. Dr. Keiko Muromatsu is a professor at Toyo University, Japan. She conducts research on midcareer transitions, executive and organizational coaching, and management communication, aiming to develop personal strategies enabling individuals to perform to their highest potential in their chosen career. She was a visiting scholar at Columbia Business School, 2013-2014. She is a Certified Columbia Executive and Organizational Coach, a Gallup-Certified Strengths Coach, a Certified Job and Career Transition/Development Coach. Keiko also is a member of AOM and ICF. Today's world sees dichotomous opulence of great magnitude which would have been hard to dream of a few years ago. And yet there is also the world of deprivation, destitution and displacement. Overcoming these problems is the central part of the objective of development. Career planning becomes an important pivot in such an exercise in every country/region. It is particularly important for developing countries/regions like India to career counsel the human resource so that the obstacles in achieving objectives of social justice can be removed. Just as education must be deliberately organized towards national development, there should be planning of this education for the progress of the individual as 'all' educated cannot always lead to growth. Thus human change on a grand scale is needed for transforming a traditional society to a modern economy. Dr. Rekha Dayal is an Associate Professor at Jesus & Mary College. She graduated in Economics Hons from Hindu College, University of Delhi and did her post-graduation with Shri Ram College of Commerce, University of Delhi. She completed a Post-graduate Diploma in Personnel Management from the Faculty of Management Studies DU. Her PH.D is in Organization Behaviour from the University of Delhi. 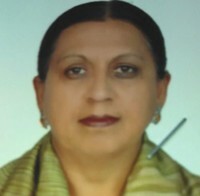 She has been member of Executive Council and Academic Council of Delhi University. She has presented papers in both national and international conferences, the most recent being at the International Congress of Psychology (ICP – 2013), South Africa. Over the past decades, profound reforms occurred in economy, education, technology and related fields in mainland China. As one of the most developed cities, as well as “the first mover”, Shanghai witnessed the emergence (1917-1948), the reorientation (1949-1965), the abandonment (1966-1976), and the reemergence and subsequent development of career counseling (since 1977). We review the history of career counseling in Shanghai in education settings since 1980s, from an economic-political perspective, and discuss how stakeholders could work together to promote the development of career counseling in Shanghai. Dr. Weiqiao Fan’s research is located in personality assessment and career development assessment for youth. He has authored or coauthored papers in personality and career assessment in international journals, including The Career Development Quarterly, Journal of Vocational Behavior, and Journal of Career Assessment. His current position is a professor of psychology at Shanghai Normal University, and Deputy Director of Shanghai Institute of Career Education, China. Fan holds a PhD in Psychology from the University of Hong Kong. He has previously worked as a postdoctoral fellow in the Department of Psychology at the Chinese University of Hong Kong. This study was designed to investigate the context of drug abuse inmates’ signature strengths in early life experiences, and to understand career challenges and a sense of hope in the future. The data obtained from semi-structured, 40-60 minute interviews of eight drug abuse inmates were analyzed with content analysis. 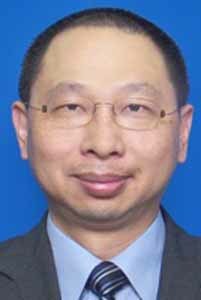 Hsiao Feng Cheng is an adjunct professor of the Department of Teacher Education and Careers Service, Nation Taiwan Normal University, and also works for Sindian Drug Abuser Treatment Center, Agency of Correction, Ministry of Justice. She hopes to create more global conversation with the article and continue her commitment to help drug abuse inmates expand their career development. The presentation explores the functions and utility of Career Development Centers in educational Institutions and presents the case of Manav Rachna Educational Institutions. The Career Development Center is the training arm of Manav Rachna Educational Institutions which looks after the skill enhancement requirements of Higher Education and Schools. Career Development Centers work with a mission of helping students realize their full potential and help them be employable. To achieve this objective Career Development Centers provide coaching on not only basic Employ-ability Skills and Business Communication but also on Personal Productivity Skills (Time Management, Problem solving, Decision making etc. ), Quality (Lean, Six Sigma) and Managerial Skills (Performance Management, Effective Coaching, Team Building etc.) which are rated very highly by the corporate world. Prof (Dr) Chavi Bhargava Sharma is the Dean and Founding Director of Faculty of Management Studies at Manav Rachna International University, Faridabad, India. She is also a Trustee and Secretary of the Dr OP Bhalla Foundation which is dedicated to nation building and philanthropy. She earned a Doctorate in Psychology at Panjab University. She has been trained in Strategic Management and Defense Studies and is a Fellow and Alumni of the Regional Center for Strategic Studies (RCSS), Colombo in collaboration with Stymson Institute and Washington Institute of Peace and Conflict Studies. She received the prestigious Scholar of Peace Fellowship (2004) from Women in Security Conflict Management and Peace, of His Holiness the Dalai Lama Foundation for Universal Peace. She has been involved in Research, Consultancy and Training from the past 23 years and has taken workshops for principals, police personnel, children, youth, and adults on various behavioral, employability and psychological enhancement areas. After twenty years of career education for college student in China, the method based on theory of Trait and Factor such as Holland typology confronted the challenge of a developing country/region, but the method based on Adjustment Theory demonstrated the better performance for solving the problem of career education, especially in the aspect of course and counseling guidance. 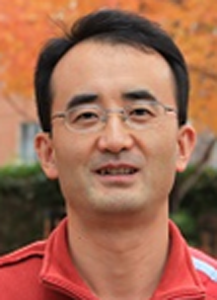 Chunyu Li is currently Director of the College Business department of New Elite Development Plan. He was a graduate student of Chinese Academy of Science and former counselor of Capital Normal University. Based on our career exploration research in Hong Kong for the past ten years, we discuss and demonstrate how our research (e.g., Cheung & Arnold, 2010; Cheung, 2014) informs practice. Results of assessment and experience during university projects in Hong Kong to improve career planning practices will be presented. We will include designs and delivery in career courses and work internships, evaluations of intervention effectiveness, and training resources and cases for facilitators to motivate students’ career exploration through experiential leaning and storytelling. We will highlight the significance in evidence based career guidance and professional development of practitioners. Dr. Raysen Cheung is Assistant Professor in the Department of Applied Social Sciences of City University of Hong Kong. He obtained his PhD in Vocational Psychology from Loughborough University in England and has served as a university counsellor specializing in career guidance and counselling in Hong Kong for more than 13 years. Currently, he is researching and teaching in areas of career development, employability and professional counselling. He is a Registered Counselling Psychologist and a Registered Industrial-Organizational Psychologist of the Hong Kong Psychological Society, as well as an Associate Fellow of the Hong Kong Professional Counselling Association. Being differently-abled should not be an obstacle for entering the world of work. Despite an increase in their employment, it is not easy for differently-abled individuals to plan careers or to find jobs that suit their abilities and talents. The differently-abled have to go to great lengths to prove that their handicap will not affect their ability to deliver. Although many laws have been made to ensure their getting jobs, this is not so on ground. However, there are many jobs that can be done by the physically and mentally challenged, and very effectively! This paper attempts to look into the job options for the differently-abled with special reference to the Indian job scenario. Dr. Harpreet Bhatia is an Assistant Professor at Keshav Mahavidyalaya, University of Delhi, a founding member of Indian Association of Positive Psychology (IAPP), and a registered practitioner with the Rehabilitation Council of India (RCI). She has taught psychology for the past 8 years and She has been a counselor and psychologist for 20 years and worked with persons of all ages. Dr Bhatia constructed and standardized the Family Environment Scale, co-authored two books with Prof. N.K. Chadha, Know Yourself and Be a Winner, and is an editor for the book Perspectives in Positive Psychology. Dr. Bhatia has also been a part of research projects sponsored by ICMR, UNICEF, and UNIFEM. Young people with STEM (Science, Technology, Engineering and Mathematics) qualifications are in demand worldwide and are known to have better career prospects. The present study analyzes current status of Indian STEM-skilled workforce and their presence in the global market. It also shares best career development practices and support for educational institutions at all levels to generate STEM talent to meet future challenges. 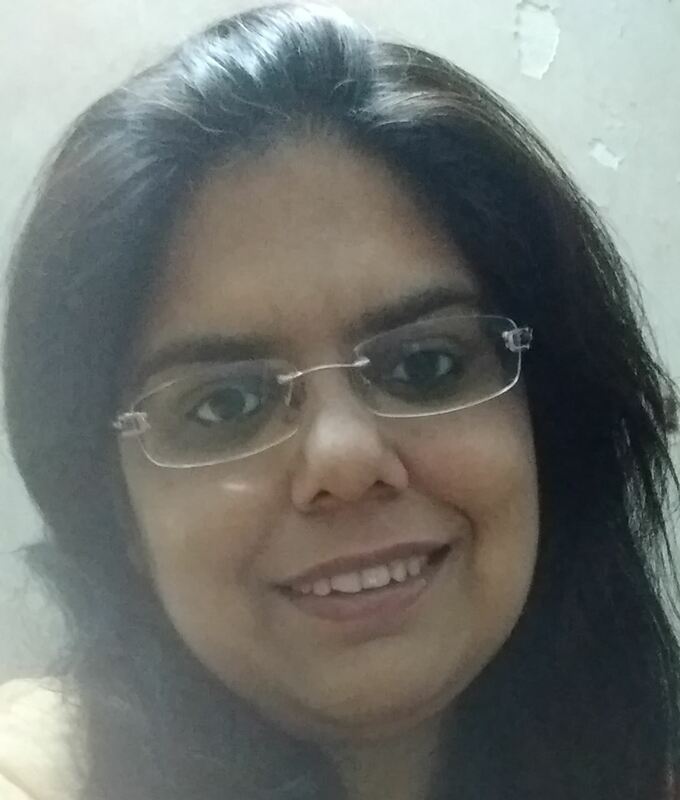 Dr. Vandana Gambhir Chopra, a research scholar of the Department of Psychology, University of Delhi, is an alumnus of Nehru Homoeopathic Medical College and Hospital, India. A gold medalist of University of Delhi, she started her professional career as a physician and is currently working as an Assistant Professor of Psychology at Keshav Mahavidyalaya, Delhi University. Her field of involvement in psychology research work span across psychometric testing, organizational behavior, career competencies, personality psychology, social psychology, competency mapping, positive psychology, consumer behavior and geriatric mental health. In her spare time, she likes to read books on spirituality, exploring dimensions of the human mind. Dr. Narendar K Chadha is a Professor and Head, Department of Psychology, University of Delhi. He works in career development for higher education and corporations. He serves on a large number of advisory committees on career development and soft skills for the government of India and was instrumental in establishing the India Career Development Association. 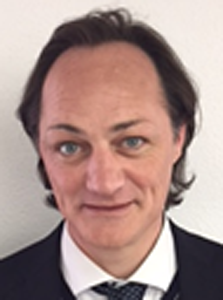 His expertise is in Psychological assessment and competency diagnosis for the future workface. His degree is from the University of Delhi. The ratio of long working hours of Japanese workers stands out in the world. As a result, people with mental health disorder increase, and the disorder of workers in their primes in their 30s-40s is outstanding. It has been 30 years since The Equal Employment Opportunity Law was established, and gender differences in employment continue dissolving. However, approximately 60% of working women retire by their first child delivery and turn into the "Sleeping Workforce". I want to examine problems related to the mental health support of these workers; particularly the challenge to their work life balance realization. Momoko Asaka is CEO at VeriteWorks Inc. She is a graduate in Arts in Library and Information Science from Keio University, Japan. Momoko is a JCDA Certified Career Development Adviser, a JPA Certified Psychologist, and a Mental Health Legal Adviser. She has been providing career and mental health counseling services for ten 10 years. Currently, Momoko is working on a business with a strong interest in the labor shortage problem by mental health disorders due to overwork and depression. This presentation explores the challenge and value of performing culturally responsive career policy development. We will offer insights into the techniques used to develop and contextualize careers policy in a cross-cultural context, and how elements of Australian—and other (predominantly Western) nations’—career development policy can be adapted for transference across cultural contexts. This allows deeper understanding of the global relevance of Australian and Western career development policy, and its particular relevance to the context of developing labour markets in the Middle Eastern and Asia-Pacific regions. Dr. Sophie Sunderland is a senior research consultant at Miles Morgan Australia, and has been a key researcher in Miles Morgan’s work in Saudi Arabia, leading and facilitating, as well as co-facilitating, the design and delivery of all workshops delivered in bilingual environments utilizing a range of interactive technology and resources. She has led and contributed to a number of other career development projects including program evaluation, training program development, and policy development. She is also a current Honorary Research Fellow with the School of Humanities at the University of Western Australia. While they are in school, many students are in involved in classes, part-time jobs, internships, student organizations and an active social life. Multi-tasking is a norm as they use a broad focus of attention in order to participate fully in the variety of activities. Is this counter to the traditional full time positions they are often directed to after graduation? Should they be considering a Portfolio Career to utilize a variety of their skills and interests? Implications of Portfolio Careers for the students and employers will be discussed. Dr. Jon Sakurai-Horita has been involved in the Career Development field since 1979. In 1996, he left his role as Director of the University of San Francisco Career Center and began his portfolio career. He has worked in University Career Centers, an International outplacement firm, corporate settings, non-profit settings and with private clients. His current roles are Career Counselor in a traditional University Career Center, Career Management Consultant for an International Outplacement firm, an accounting certificate program and an MBA program and private career development practitioner. In addition to these separate contracts for his services. He is also the Founder and President of a Recruitment firm. Whenever Japanese encounter difficulties, they tend not to blame the injured party. Instead they, themselves, feel that they did something wrong and continue feeling negative about the incident. The presenter will give narrative stories about Japanese who actively engage in self-reflection and successfully manage to pass the transition and crisis in one’s career and life. Dr. Shujiro Mizuno is a certified clinical psychologist and President of Certified Counselors in Japan. Currently, he is a Professor at the Institute of Moral Science, Education Section. Elite athletes manage their sport often in combination with education and work. While athletes build strong identities in their sport, it is also important for them to construct identities related to life after the elite sport. Supporting elite athletes with their education, training and employment options may assist them to lead successful and fulfilling lives beyond their sporting careers. This small scale qualitative research examined transition from sport from the perspectives of Australian elite athletes, retired elite athletes and sport career advisers. Results provide insights into the transition from sport and the support needs of athletes. Suggestions are made for career advisers. Lawrie Fabian is a Senior Advisor Personal Development, Queensland Academy of Sport, Australia. He joined the Academy in 1995 as Manager of the Athlete Career and Education (ACE) Program. With a background in secondary school physical education, Lawrie has taught in Australia, Switzerland and the United Kingdom and lectured undergraduate and post-graduate students Sport Management and Trends in Elite Athlete Development at three Australian universities. Lawrie pioneered the role of Player Development Manager in the professional sports entertainment arena and has coordinated Melbourne 2006 and Beijing 2008 development squads for Diving Australia and managed Australian teams to World Championship events. Careers education is said to be one key to solving the attitude gap to careers for young people in the future. We carried out two studies about careers education for students in provincial cities in Japan and the UK. First, we designed and implemented a program to change attitudes to leadership for female college students in Japan. A significant difference was measured before and after the class. Next, we analyzed the cultural and social factors influencing career choices in the UK. Gender-free career choice is also a key to solving the workforce problem of both countries in the future. Masumi Nagae: Masumi specializes in career design education and career counseling for college students. Her B.A. is in Educational Psychology and her M.S. is in Medical Science. Currently, she is in a doctoral program of Medical Science and social psychology. Masumi is researching the effect of organization development in companies and the effect of career education in K7. 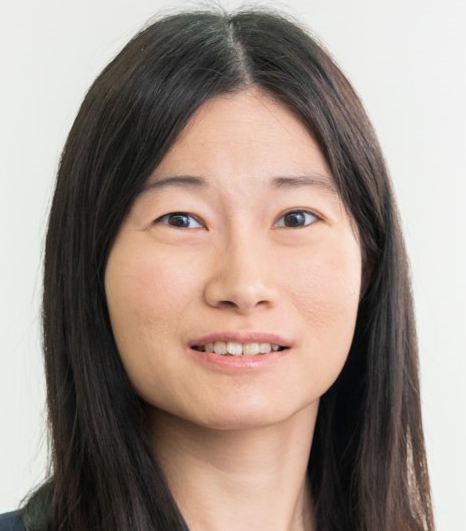 She is a member of the Japan Career Development Association, a CDA(Career Development Adviser), and a JAICO (Counselor of Japan Industrial Association). Jonathon Moxon: A Saga Women's Junior College (Japan) associate professor of English and applied linguistics, Jonathon has led a varied career from a BSc in chemistry to his current position. As head of English at the college, he is responsible for overseeing students’ studies and providing guidance for their careers after graduation. He has received JCDA (Japan Career Development Association) training. His research interests are in developing constructive attitudes to career planning, and in group dynamics and cooperative learning in the second language classroom. Both interests can be viewed as a development process of actualizing students’ potential. Jonathon is a member of APCDA and the Japan Association of Language. The purpose of the study is to investigate in how career counseling can be facilitated with art material. Researchers interviewed participants after they received career counseling with art martial. Through qualitative analysis method, the research result tried to figure the effectiveness of art material applying in career counseling so it can be used at appropriate times as a facilitator tool in career counseling. In advance, career counselors can adopt these concepts or art materials such as life-line drawing, structuring a dream world or creating a future life by clays and etc. in their clinical career counseling work. Hui-Chuang Chu, Assistant professor Department of Educational Psychology and Counseling, National Hsinchu University of Education, Taiwan. She majored in counseling psychology, career counseling and art therapy. She is a licensed counselor and art therapist. Her research interests are related to children, adults and special ethics. Career development in Japanese universities must be encouraged to participate in practical learning programs including internships and study tours. This presentation particularly shows effective learning through international settings for university students. The majority of Japanese students at university tend to stay inside Japan. One of the main reasons may be explained due to a language barrier. The student’s self-confidence for English remains very low, nevertheless they learn English at schools for several years. The presenter argues that “subjectivity” is highly problematic. Attitude can be changed by taking part in international setting programs such as internships and study tours. 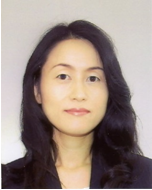 Yukari Ando is a Specially Appointed Assistant Professor, Global Collaboration Center, Osaka University, Japan. She has severed as a Programme Adviser at the Cabinet Office of Japan before joining Osaka University. Her main research interest is international law in general, international protection of human rights in particular. She particularly focuses on the United Nations Human Rights Mechanism and European System. She is a qualified Career Development Counsellor and is highly motivated to supervise international career development for university students. Every year she has organized a study tour that visits United Nations Agencies. This study aims to develop a Career Identity Work Sheet (Banda, 2015), which tries to visualize Japanese students’ psychological transformation in career development using notions of the Trajectory Equifinality Approach: TEA (Sato,Yasuda,Kanzai & Valsiner, 2014) as a tool of career guidance. Also, this study tries to look into the process of transformation of students’ career believes through narrative counseling in order to support career construction (Savickas, 2011) for students in higher education. Kiyomi Banda is an associate professor at SANNO University in Tokyo, Japan. 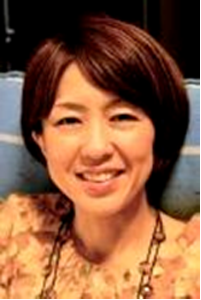 She holds a Master of Education and is a doctoral student in Tokyo Gakugei University Graduate School of Education. She successfully enacted a project in career education while at Tokyo Gakugei University. The project was financially supported by the Ministry of Education, Culture, Sports, Science and Technology as one of “Good Practices” of university reformation. In this study, we examined the unique and shared influences of employment status, job satisfaction and supportive social relationships on the trajectories of depressive symptoms of post-secondary students transitioning to work over a three year period. Preliminary results indicated that social support moderated the direction and magnitude of the change in depressive symptom levels over the transition from university into the workforce, which suggests the need for career counsellors to address clients’ mental health concerns during the transition from university into the workforce. The results also suggest the need to adapt career development practice with this population. Dr. Jose Domene is described above. Sherlock identifies and facilitates effective and efficient interventions with at-risk students and creates individual and aggregated classroom, school, or district reports. Sherlock identifies students with specific risk factors, facilitating one-click interventions. Results of program interventions are logged across time, allowing assessment of both individual progress and measurement of the effectiveness of interventions or programs. Sherlock’s communication tools enable counselors, teachers and administrators to target messages to students and parents. Sherlock can be implemented in many languages. 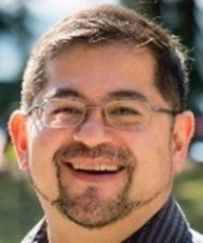 Curtis Fuhriman, Director of IntoCareers at the University of Oregon, has professional experience spanning education, business, and software development. After teaching Spanish in public schools and university settings, Curtis worked for Mark Monitor and Thomson Reuters, with a focus on international program management. As Global Service Delivery and Operations Manager, he managed service delivery teams in the US, Eastern Europe, and China, with additional responsibilities for software design and data analytics. Curtis has a Master's degree in Educational Technology from Boise State University and is fluent in French and Spanish. Curtis believes technology is best applied when it supports people-driven solutions. “We want graduates with well-developed skills! !” is what employers say. What kinds of skills do they really want? What kinds of skills make a difference about who gets hired? In this session, we will focus on professional skills, traditionally known as the ‘soft’ skills that are relevant for all workers, regardless of their field of study or employment. From our international review of literature on professional skills, we found some conflicting reports, some surprises, and some very good advice from employers about what they are expecting from university graduates. We will share the key skills identified by employers and discuss the implications for career development practitioners in helping students and workers build their professional skills for the workforce of the future. Dr. Nancy Arthur is described above. Career supporting curriculum Past and Present; Introducing our supporting curriculum in the past and how we changed it. Career supporting system focused on mock interview and consulting, View change of employers and how we correspond. Yoshimitsu Ishihara entered KAKETSUKEN (A foundation which manufactures a vaccine. It was established by the Kumamoto health science university.) in 1977 and was assigned to the Research and Development Department. As an experienced manager assistant general manager, he became a person in charge of the manufacturing faculty. In 2007, he moved to the Kumamoto health science university as the secretary general and became head of the regional revitalization subcommittee of the university consortium kumamoto. He is also head of a Career support center. He acquired his CDA (Career Development Adviser) license in 2013. Ayaka Hamamoto entered Hisamitsu Pharmaceutical in 2009, as Medical representative. In 2011, she moved to Kumamoto health science university as secretary of Prof. Akaike and now she works with the Career support center as career counselor. She acquired her CDA license in 2015 and currently schedules career guidance for all students in the university. Using a sample of 4670 university graduates from 55 universities in Beijing, the current study intended to examine the association of work choices and satisfaction in a Chinese context. A Binary Logistic regression analysis showed that, after controlling gender, age, family region, major, and university prestige, work location, fields of industry, economic ownership types of employment organizations, starting salary, major-job fit, and job prospects significantly predicted placement satisfaction. Implications for theory and practices will be discussed. Dr. Leili Jin is a vocational psychologist in the Career Development Center of Tsinghua University and teaches Career Planning and Vocational Psychology for undergraduates. She obtained her PhD from the Faculty of Education, the University of Hong Kong. Her current interests include the contributions of university experiences to career-related outcomes among Chinese university students, career assessment, and professional identity among Chinese career practitioners. Career counseling could be a culture-free method for encouraging social maturity. It's power is based on our humanity and a way of being. All human beings want to be accepted and to avoid rejection. “To accept others” means “to be accepted by others.” “To reject others” may lead to “to being rejected by others.” Even within the mind of a single person, there lies a part of “self” which the person him/herself does not want to “accept.” However, such “self” also wants “to be accepted” by the person. Likewise, “unacceptable others” may be a projection of “unacceptable self” on others. Living in an era of intense global competition, we need to realize that excessive competition with a winner and a loser will bring distortion to the society, which even winners have to pay for. It is believed that, like Japan, other Asia-Pacific countries/regions will experience similar social issues and challenges in the near future. Therefore, as a proactive measurement, it would be worthwhile to start introducing career counseling at the various stages of society. Ryoji Tatsuno is the President of the Japan Career Development Association, Chairman of the Asia Career Development Association, and an advisor to Nippon Manpower Company, Ltd. Since 1999, he has been a committee member in Japan’s Ministry of Labor, Health and Welfare (MLHW) Human Development Bureau’s research committee for the judgmental criteria on employability. Through his work on numerous policy committees, he has been instrumental in defining career services, career advisor credentialing, and been been instrumental in defining career services, career advisor credentialing, and examinations in Japan. He was responsible for developing JCDA's career development advisor training program. Click here for the presentation by Dr. Chadha. 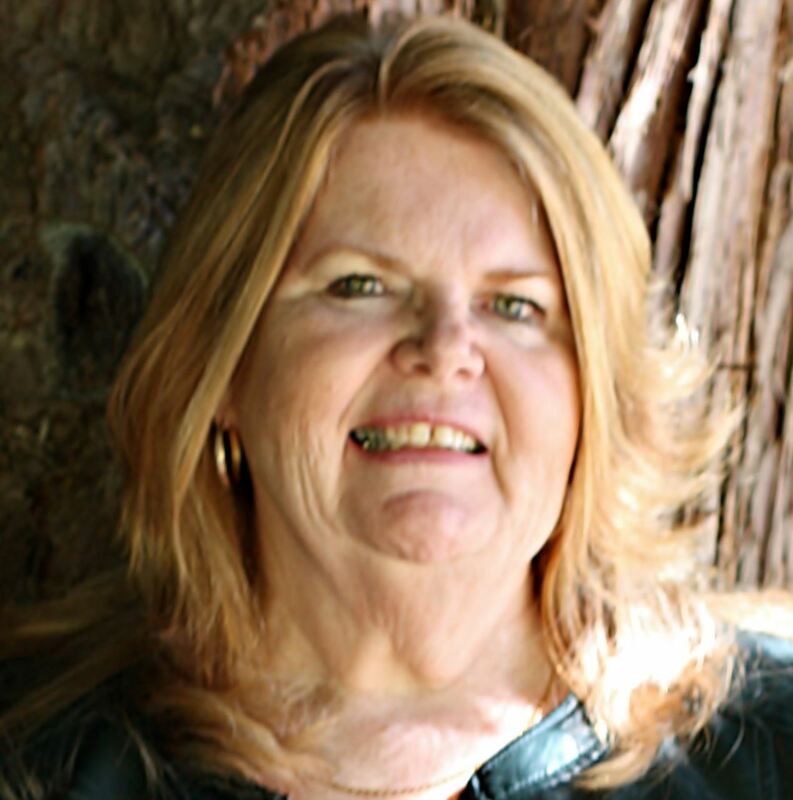 Cheri Butler is a career and personal development counselor, coach and educator with more than 20 years experience working with individuals and organizations creating successful career, leadership and life paths. Proven ability to identify, design anddeliver educational and developmental programs for clients young and old and at various life stages. Excellent leadership and mentoring skills with both professional and para-professional staff. National and International speaker and trainer. She is a Past President of NCDA. Dr. Yao-Ting Sung, Dr. Narender Chadha, and Dr. Weiqiao Fan are described above. This session will describe key concepts from the Cognitive Information Processing Approach to Career Problem Solving and Decision Making that are used to help clients and practitioners better understand the content and process of career decision making. Key concepts include the Pyramid of Information Processing Domains (the “knowing” part of decision making) and the CASVE Cycle (the “doing” part of decision making). The session will also describe how the theory is applied in practice, including a three-level differentiated service delivery model and a readiness assessment model. A specific example of service delivery will also be presented. Dr. Deb Osborn is a Professor of Counseling and Career Development in the Department of Educational Psychology and Learning Systems at Florida State University and a past president of the National Career Development Association. She is part of the team that has developed expertise in the use of cognitive strategies in the design and delivery of career counseling and guidance services and the appropriate use of computer technology in counseling. This panel of Asian career practitioners will describe cultural issues which affect career choices of the women they counsel in Taiwan, Japan, the Philippines, and Korea. As their clients seek meaning in life, their cultural and gender perspectives affect their choices. Each country/region presents unique cultural concerns, but also common themes. Whether we are working with initial or mid-career choices, understanding the world-view of our clients is essential. The unspoken and, perhaps unconscious, beliefs of our clients related to gender and cultural life role expectations have a profound impact on the outcome. Awareness of these issues can help us to serve our clients better. Click here for the presentation about Taiwan. Click here for the presentation about Japan. Click here for the presentation about the Philippines. Click here for the presentation about Korea. Hsiu-Lan (Shelley) Tien is a professor of counseling who has researched cultural career issues of Asian women for many years. Megumi Ohkubo serves as a career counselor at Rikkyo University in Tokyo and has been collecting data and presented on this topic for many years. Carla Siojo runs a career center at Ateneo University in Manila and has observed these issues for many years. Eunmee Hwang is the President of the Career Consulting Forum and Commissioner for promoting youth employment in Korea. Cheri Butler, President-Elect of APCDA and Past President of NCDA, will moderate the discussion and keep these four high-power women on track.